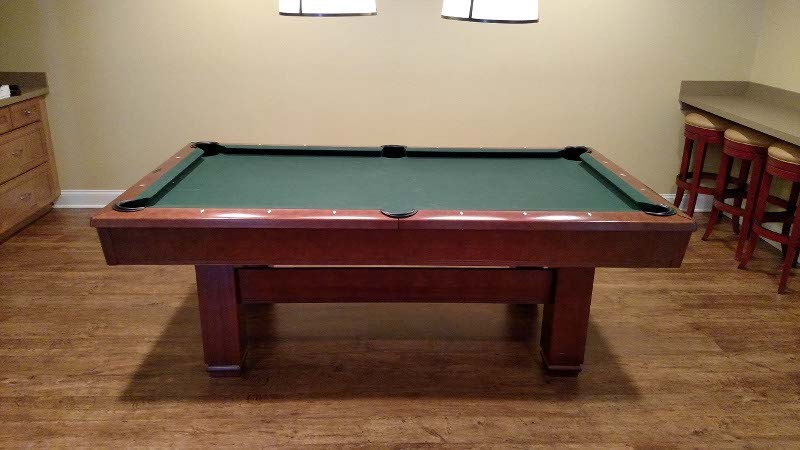 This gently used 7′ Brunswick Hawthorn pool table Features full nut and bolt assembly, Brunswick SuperSpeed™ cushions, and 1″ slate. 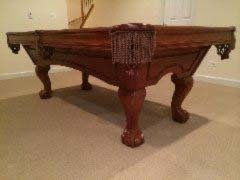 Solid hardwood construction means this table is built to not only look great, but play great pool for years to come. An 11 step furniture finish completes the elegant look while brass-finished rail corner covers and apron miters finish of the classic look of the Hawthorn style. 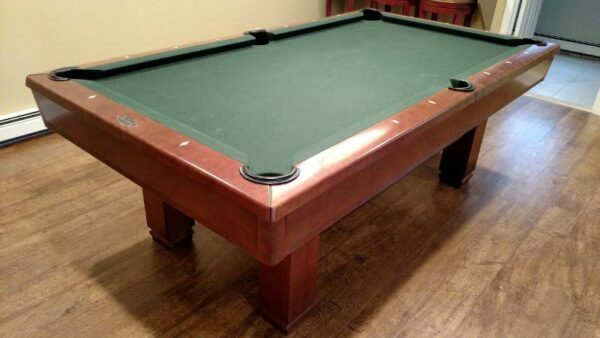 The precision-machined three piece one inch thick slate is registered and doweled upon setup and provides a non-moving permanent level to ensure perfect play with zero unintended roll. 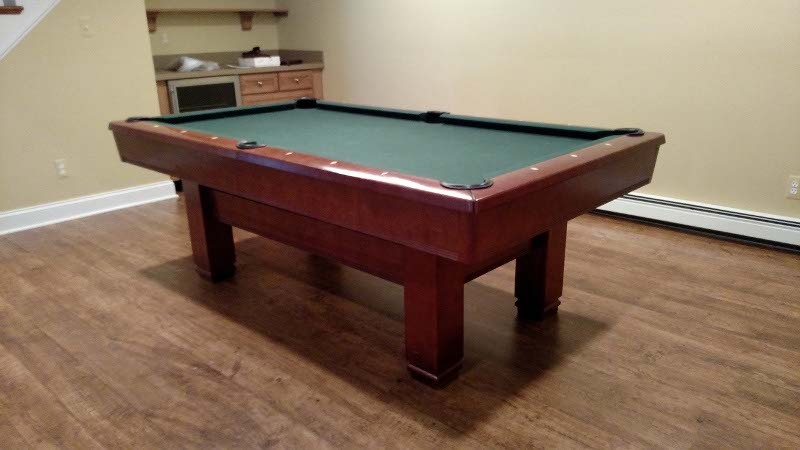 All of this sits on a base frame constructed from six cross support beams and two full length side bames PLUS another center beam to provide practically unlimited strength that will stand up to even the heaviest players in your game room. 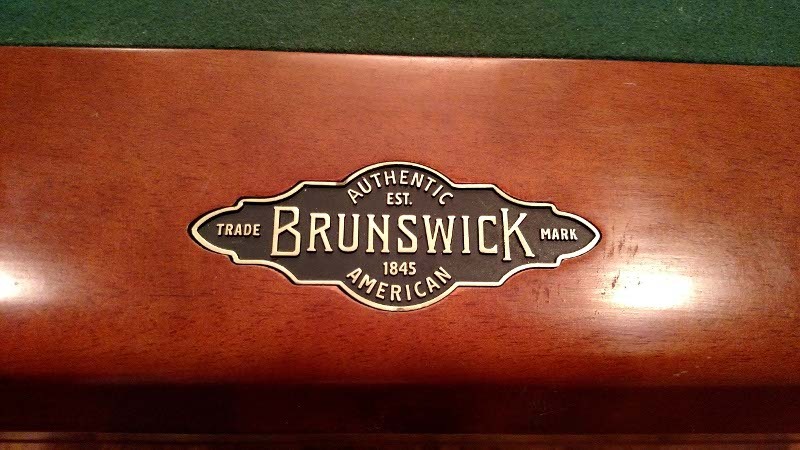 Pearlized sights line the gorgeous solid hardwood rails of this table while combined with the industry standard Brunswick SuperSpeed™ cushions provide the dead on accurate play. Oh, the cloth on this beauty is included as well! 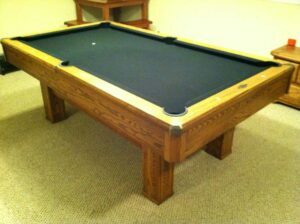 This 7′ Brunswick Hawthorn will fit great in any smaller game room, or in a large room with limited space. Give us a call or request a free quote to find out what the total package (including delivery and setup) will cost based on your location. 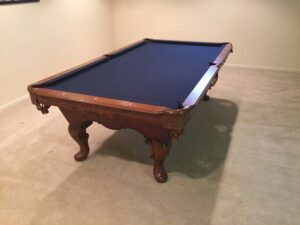 Also, don’t forget that when you buy a used pool table from Pro Billiards, you get the unheard of in the industry “1 year total warranty”. This means should any issue arise with your table, setup, materials, etc. we will come out and make it right. 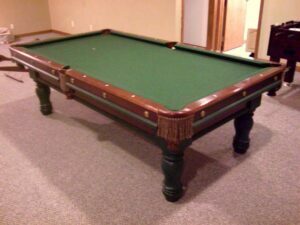 No fees, no strings, just guaranteed quality of service from Michigan’s #1 billiards company.